A new paper is making an extraordinary claim about murder among animals -- including us. Has mankind inherited the murderous traits of its primate ancestors? It appears so, but it also seems that civilization has helped drive it out, according to a new study. Scienitsts out of Spain examined 1,000 mammal species and determined the rate at which they kill their own kind, using this to determine which species are most violent and which are least violent. And they found that where a species is on the evolutionary tree says a lot about just how violent and savage that species is. Where do humans place on that scale? They are pretty violent since they are related to other primates, where violence is ancestrally present in just about every species, showing that our propensity for violence is inherited. Our earliest ancestors showed a rate of violence of about 20 in 1,000 animal deaths, a figure that rose steadily and peaked in the medieval period between 700 and 1500 AD, when we were killing each other at a rate of 120 per 1,000 deaths, lead study author Jose Maria Gomez said. But that figure has declined over time. Now, we kill each other at a rate of 13 in 1,000 — still pretty high, but much better. Gomez used World Health Organization data to estimate this, but he admits it’s a bit challenge to figure out, as there are a lot of variables. But it is safe to say that violence has declined significantly in humans as civilization has advanced. 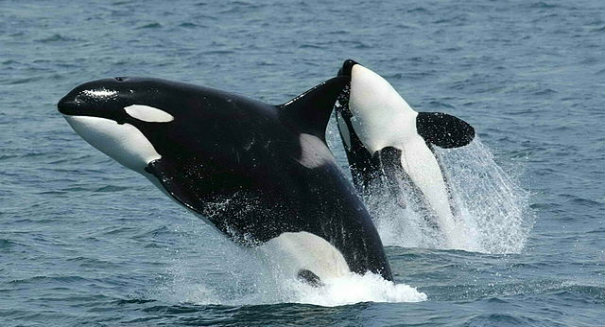 Killer whales, despite their violent name, are actually the least violent toward each other. They have a violence rate of close to zero. Other whale species, as well as bats and anteaters, are also quite low on the scale. On the other end, cougars, some species of baboons, lemurs, and chinchillas are among the most violent, with murder rates that top 100 in 1,000. Researchers analyzed 1,044 studies and 1,024 mammal species. The superorder of species known as Euarchontogilires, which includes us as well as rodents and hares, has a violence rate of 11 in 1,000. Going back farther in history, the grouping called Euarchonta, which includes humans and primates, had a violence rate of 23 in 1,000. How did Gomez examine violence? He used phylogenetics, which is how closely related species share traits that are similar. They found that the more closely related the species were, the more likely they had a similar level of violence. Gomez examined a few thousand deaths of prehistoric humans found at archaeological sites worldwide to come to a rough estimation of murder rates, noting that it was tough to calculate. All in all, it appears that culture, government and other factors have been helping keep our level of violence down.